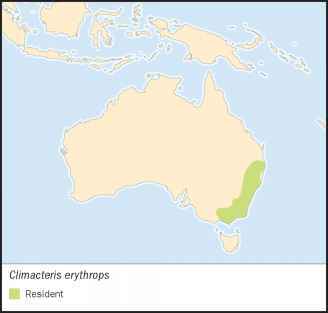 Climacteris erythrops Gould, 1841, Liverpool Plains, New South Wales, Australia. English: Red-eyebrowed treecreeper; French: Echelet a sourcils roux; German: Rostbrauen-Baumrutscher; Spanish: Sube Palo de Cejas Rojas. 6.3 in (16 cm); 0.8 oz (23 g). Underparts brown streaked with white; gray head with rufous around eye, white throat, brown mantle, and grayish tail. Southeastern Australia from Brisbane to Melbourne. Eucalypt forests of the Great Dividing Range, less commonly in woodlands to the west of the range. Occasionally, temperate and subtropical rainforest. 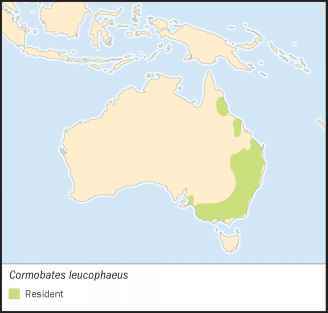 Especially associated with eucalypts that have peeling bark or that shed bark on their lower branches and trunks. Lives in family groups in a large home range, but highly sedentary. Aggression and conflict between neighbors much less frequent than in the white-throated treecreeper. Rather soft, chattering calls. Typically probe into bark of rough-barked trees, and especially into accumulations of peeling bark on gums and boxes (subgenus Symphyomyrtus) for insects such as spiders and especially ants. Breeds September-January in cooperative groups of three to four birds. 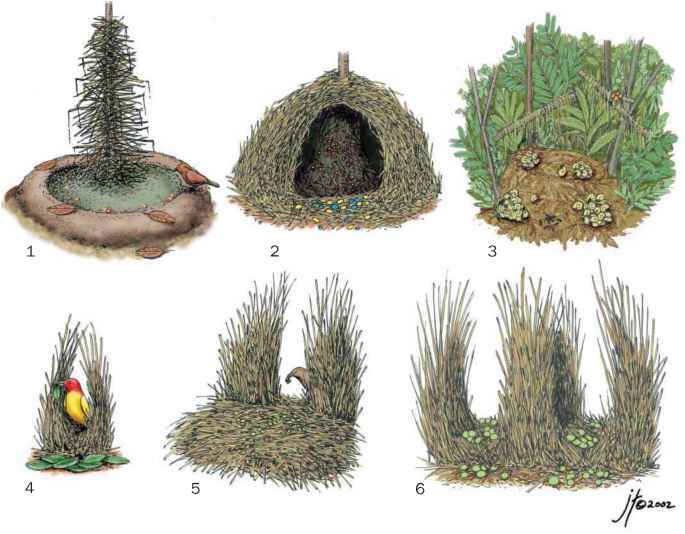 Nests are placed in tree hollows, typically in a spout of a living tree. Clutch size is strictly two eggs, incubated by the breeding female for about 18 days. Young are fed by parents and helpers, and fledge at 25 days, with a high success rate (74% in New South Wales). Secure, but cope poorly with habitat fragmentation, and have contracted from the west of their range where woodland has been extensively cleared.